Links to other websites of interest. Please click on the logo. It will speak up for civic societies and local communities across England. Civic Voice will promote civic pride and combine an effective national body for the civic movement with a strong local voice. A group of volunteers who are enthusiastic about Stanley Park and Salisbury Woodlands and arrange events, assist in the park. Keep up to date on what's happening at the Blackpool Winter Gardens and follow the work of the Trust and it's partners. Blackpool Heritage Guided Tours - take a guided walk of Blackpool or the Winter Gardens or Lightworks and more. Fylde Decorative and Fine Art Society. We are interested in sculpture, architecture, jewellery, ceramics, glass, poster art, mosiacs, - just about anything that involves good design. Lancashire Local History Federation Formed in 1973, the official co-ordinating body for local history in the County Palatine of Lancaster.? Fleetwood Civic Society Facebook Page Fleetwood Civic Society - meetings are held on the last Wednesday of the month at the North Euston Hotel starting at 7.30 pm. Lancaster Civic Society. Lancaster Civic Society aims to encourage high standards of architecture and town planning in new development in Lancaster District, and to help preserve the historic character of the City. 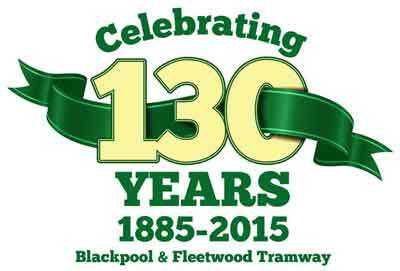 Read about Blackpool Heritage Tram Tours. The Grand Theatre, Blackpool is an 1100-seat theatre designed by Frank Matcham in 1894. This amazing space is a wonder of restoration and revival, presenting a full range of every performing artform, as Blackpool's community theatre, Lancashire's preferred opera house and Britain's National Theatre of Variety. The Civic Trust Awards scheme was established in 1959 to recognise the very best in architecture, design, planning, landscape and public art. Awards are given to projects of the highest quality design, but only if they are judged to have made a positive contribution to the local community.